Mrs. Lynn, a widow in our church, works hard volunteering in our distribution center, while volunteers from across the country have been building her a house after the storm. 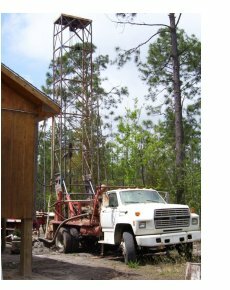 The generous folks at First Baptist Church of Crystal Springs Mississippi raised the money to have her well dug. We finally saw that happen yesterday. We plan to tie the water in next week, wrap up a few other small things, and she will move in. btw, I baptized Mrs. Lynn about 12 years ago in our first baptismal service, shortly after taking the pastorate of Lakeshore Baptist Church. That day, we baptized six new believers in the gulf right at the end of Lakeshore Road. We are happy to hear Ms. Lynn will be in her house soon. You are right, Pastor Don — she works hard at the distribution center. When we return to Lakeshore this June, some of us ladies from Trinity plan on working once again in the distribution center so Ms. Bea + Ms. Lynn can take a day off!! See all y’all soon! PTL, I saw first hand how dedicated Ms.Lynn is to the distribution center in January as I helped stock the shelves and then again in March as we ladies ministered to the ladies of Lakeshore. Ms. Bea, Ms. Lynn and Ms. Linda do a great job for our Lord and the people of the area. Kent M. and Larry B were blessed to get to do Ms.Lynns’ H & A in January PTL for that and the well!!!!!!!!!! Good Luck, Paula on getting them to take a day off!!!!!!!! I am so glad to hear that Ms. Lynn will soon have a new home. Praise God! 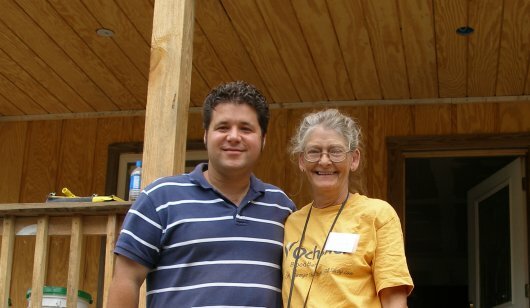 I had the honor of working with Ms. Lynn in the food shelf in March 2006. I check the website regularly for updates. Please know that Ms. Bea, Ms. Lynn, Pastor Elbourne, and all the others at Lakeshore Baptist are in my prayers.